These are the perfect Acoustic Bands for weddings, corporate events & parties in Kent, locally sourced by our entertainment experts. Find the best Kent Acoustic Bands only at Alive Network, the UK's biggest entertainment agency. Versatile, professional & entertaining male/female acoustic duo with vocal & keyboard performances that will blow you away! They have performed together for over 6 years & offer something for everyone. Want help finding your perfect Kent acoustic band? If you would like assistance finding the perfect live acoustic act for your event in Kent, simply give us a call or submit the quick enquiry form below and one of our talented entertainment coordinators will be happy to assist. The perfect choice to provide first class entertainment specially tailored for your event! From contemporary covers to jazz standards or classical pieces, whatever you require, The Ella Ensemble will always deliver! Previous clients include Pizza Express, Norwich Cathedral and more! Accento are a young, fresh, modern and dynamic high end duet. Bringing enthusiasm, energy and excitement to your event with their own arrangements, Accento offer an innovative take on popular songs and will create the perfect atmosphere for your event! 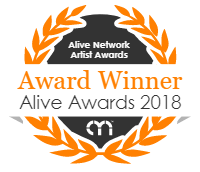 Alive Network are Kent's largest live music and entertainment agents and one of the leading live entertainment agencies in the UK. We specialise in providing Kent's best live acoustic artists, singers, musicians, DJs and entertainers for events across Kent.